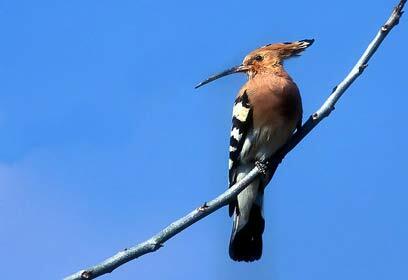 President Shimon Peres announced the Hoopoe as Israel's new national bird. The Hoopoe won an election held by the Society for the Protection of Nature in Israel, which concluded on Thursday after months of voting. 155,000 people participated in the nationwide election. The road to choosing Israel's national bird was long but entertaining. Last December, over 1,000 bird lovers participated in a seminar held in Tel Aviv University, during which they were asked to select 50 nominees for the title out of a long list of various candidates. That list was then narrowed down to the bulbul (Pycnonotidae), the red falcon, the goldfinch, the biblical vulture, the spur-winged plover, the honey-sucker, the warbler, the white-chested kingfisher, and the white barn owl. 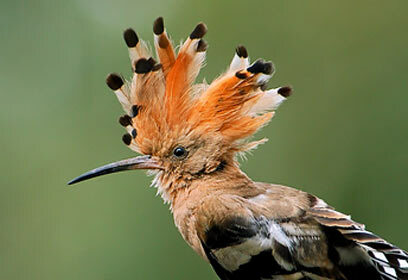 The Hoopoe raked in 35% of the votes nationwide, and also won first place in the election held by Ynet with 20% of the net-surfer vote. Peres commended the election, and said that "today more than ever we need green scenery, fresh air, and the beautiful, multi-colored birds that flock here." He added that "ornithology is one of the main assets of our small country." The president also remarked that 500 million birds pass through Israel's skies annually. "For such a small country, that's a world record," he concluded. Peres also lamented that many birds, once common in Israel, have now become rare or disappeared completely from the country. He announced that he plans to hold talks with French President Nicolas Sarkozy and German Chancellor Angela Merkel on the subject of returning the birds to their natural habitat. When asked what his personal choice had been, Peres answered that he would have liked to see the vulture take first place, but also remarked that it was a pity the dove had not been nominated. "The dove is equipped with a homing system, which can lead it home from anywhere it may be – and despite limitations and long distances it is a true Zionist," he said. 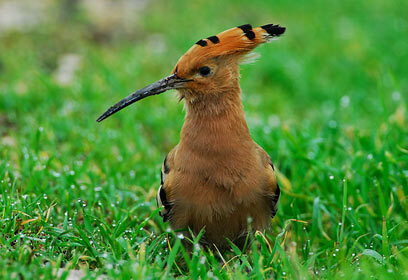 See all talkbacks "Hoopoe Israel's new national bird"